Stress may lead to impaired sleep, daytime fatigue, excessive caffeine, alcohol or tranquilizers use, and symptoms of depression. Common symptoms of depression include: sadness, guilt feelings, suicidal ideas, loss of libido, appetite changes, and sleep disturbances. In addition, there are symptoms that may not be seen or appreciated as manifestations of depression, but are quite common, including decreased frustration tolerance, irritability, impatience, difficulty concentrating, a loss of interest in what previously had been enjoyable or meaningful activities, social withdrawal, and chronic exhaustion. It may be surprising to learn that as many as 1/3 of people suffering from depression do not appear to be sad or depressed. They do not exhibit a depressive affect, and when asked if they are sad or depressed will say “no.” Yet many of the symptoms listed above clearly are signs of depression. Poor concentration and chronic fatigue are depressive symptoms that can directly interfere with performance. Additionally, depression and chronic loss of slow wave sleep are notorious for interfering with memory. Otherwise very capable people suffering from depression begin to experience failures as they are less capable of learning and acquiring skills. This can lead to increasing experiences of failure, and the ability to perform at a high level is compromised. This can become a self-perpetuating cycle…trying harder yet experiencing more difficulty; and eventually a progressively more pronounced lack of self-confidence. A pervasive cultural phenomenon is to deny feelings of depression and adopt a “pull yourself by your boot-straps” mentality. Often there are a good deal of embarrassment and shame associated with feeling depressed, yet a “grit your teeth” approach almost always makes matters worse. You can be sure that when people experience depression, everyone has done whatever they can to try and “snap out of it,” but this approach simply doesn’t work. Depression creates a sort of paralysis; people feel stuck. Standard treatments for depression are effective in about 80% of cases. These include antidepressant medication treatment and psychotherapy, especially cognitive therapy, a specific treatment protocol that has a good deal of empirical support in treating depression. a. Exercise. The types of exercise that have been shown to reduce depression are: a. 20-30 minutes of aerobic-level exercise 3-4 times a week. The intensity required to have an impact on depression can be in keeping with one’s level of fitness. For example, those who are not fit can benefit by brisk walking; jogging, running or swimming for those who are more fit. b. Two 10 minute periods of exercise each day. Again at an aerobic level. c. Walking 10,000 steps a day (which can be monitored by the use of a pedometer). Most people walk 6000 steps a day, doing routine things. During depression this generally falls to 3000 steps a day. Some reduced depression is commonly seen following approaches a and b. But the effect is transient (lasting about one hour). The real benefits (a,b, and c) are seen after a month to six weeks. Bright light exposure. This technique has been found to be good not only for seasonal depression but for all types of depression. The dose: 15-20 minutes a day going outside without sun glasses. Use sunscreen…what matters is not light hitting the skin, but rather, light striking the retina. Find an outlet for expressing feeling. 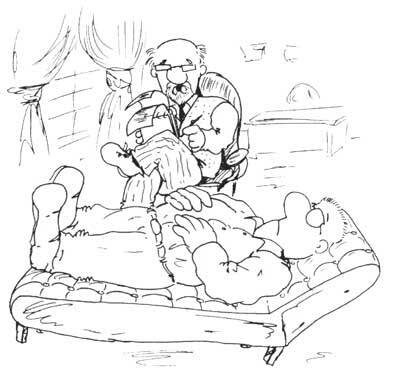 Of course this is done in psychotherapy, but it can often occur with a good friend or family member. The tooth-gritting approach almost always backfires. A common problem is that many people may hear about these techniques and not try them, in large part because they seem ridiculously simple. Yet the truth is that they are often very effective. A second problem has to do with depression itself…depression almost always is accompanied by feelings of hopelessness. Assuming that the techniques will not help, many depressed people simply do not try them. More techniques can be found in one of my books: Depression 101. Posted on August 21, 2011, in Stress and tagged anxiety, Caffeine consumption questionnaire, depression, medical school, medical students, stress. Bookmark the permalink. 1 Comment.